The healthcare industry has embraced Computer Aided Coding (CAC) as a means to improve coding accuracy and productivity. Many hospitals and health systems implemented prior to the ICD-10 go-live and some after, regardless of when the implementation took place, many find the ROI not quite what they expected. 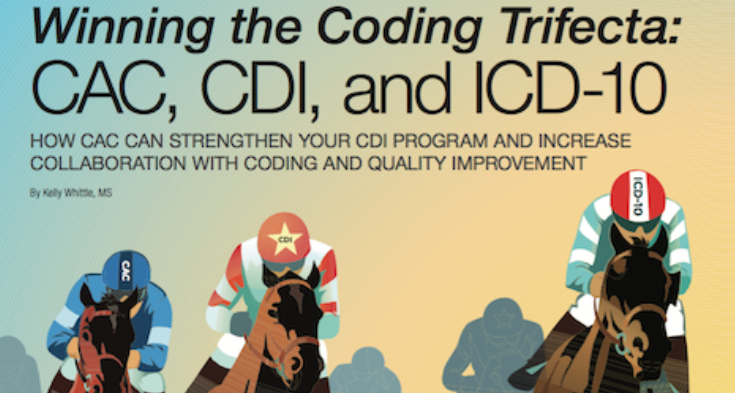 Additional insights can be harvested from this month's Journal of AHIMA article titled "Winning the Coding Trifecta: CAC, CDI and ICD-10"*. The article dives into the value of adding CAC to Clinical Documentation Specialist workflow, shares the approach Munson Healthcare took to harvest value from their CAC implementation, and notes 6 vital questions for CAC vendors. Has your CAC implementation resulted in a positive ROI? Do you need an optimization? *Note: A subscription is required to access the article from journal.AHIMA.org.